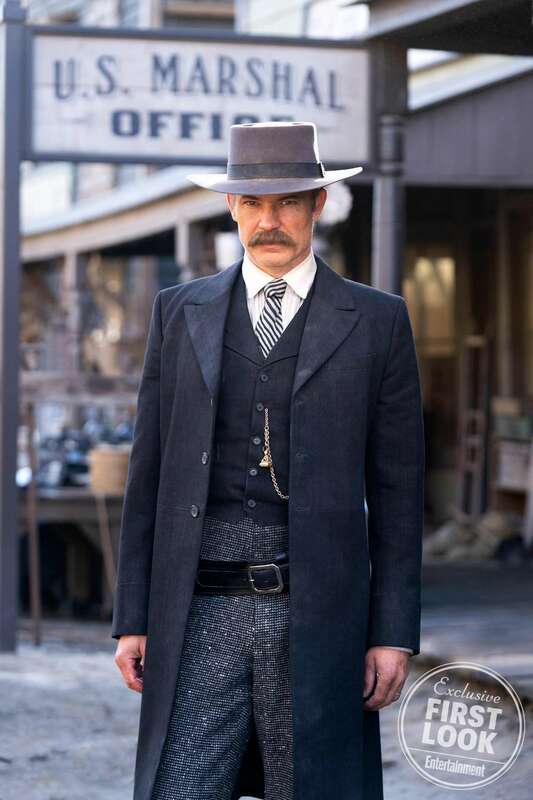 ..’Deadwood’ Movie First Look Released… – A Nibble – A Bite – or a Meal! The movie adaptation of HBO’s Deadwood is now in production. Of course it’s only appropriate to start off this Deadwood movie promotional push with the principal two characters of the series, gangster/ bar owner Al Swearengen (Ian McShane), and violent lawman, Seth Bullock (Timothy Olyphant). Swearengen seems to be behind the bar, as usual, plotting away on some kind of scheme; as a stark contrast, Bullock is out in the streets, looking all-too-ready to draw that gun against whatever Swearengen and his cohorts may have in store. A few details of note: Swearengen and Bullock both look like they’ve prospered since David Milch’s HBO series ended in 2006. Bullock looks to have entered the US Marshalls service, while Swearengen is just still alive and kicking. The ending of Deadwood season 3 left things in a much more precarious place, as George Hearst (Gerald McRaney) had all of Deadwood and its political functions pressed squarely under his thumb. Bullock and Swearengen were both left reeling on their respective back foots, hoping to survive in the new era of Hearst. Given their savage natures, and history of the Wild West (and its demise through gentrification), it doesn’t seem like there’s much world left for them to live in. 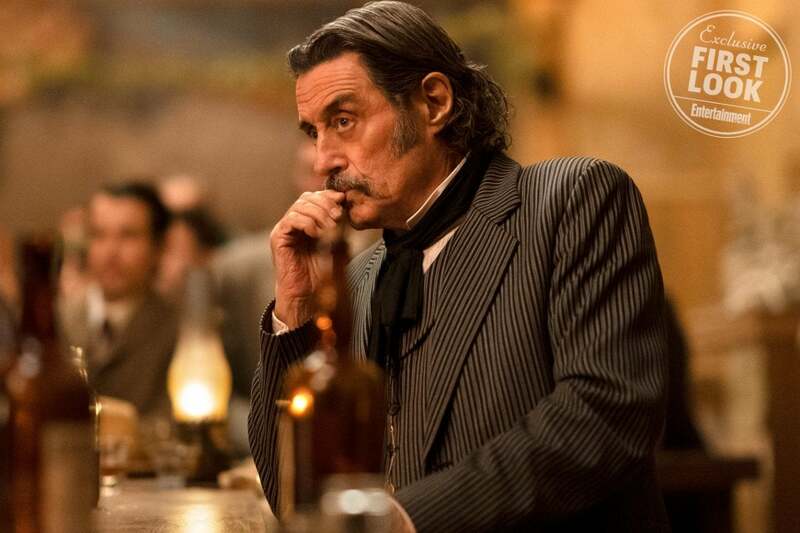 Deadwood the movie is set 10 years after the end of the original Deadwood series, and will be bringing back a dozen of the original cast members. Dayton Callie (Charlie Utter), Brad Dourif (Doc Cochran), Robin Weigert (Calamity Jane Canary), William Sanderson (E.B. Farnum), and Kim Dickens (Joanie Stubbs). In what may be the most telling bit of casting, Gerald McRaney will be making a return as George Hearst. New cast members include Jude Pettyjohn as a character named Caroline. David Milch wrote the screenplay for the film, which is being directed by Game of Thrones helmer Daniel Minahan. Here’s the official synopsis for the film:“The indelible characters of the series are reunited after 10 years to celebrate South Dakota’s statehood. The Deadwood movie will reportedly air on HBO at some point in Spring 2019.